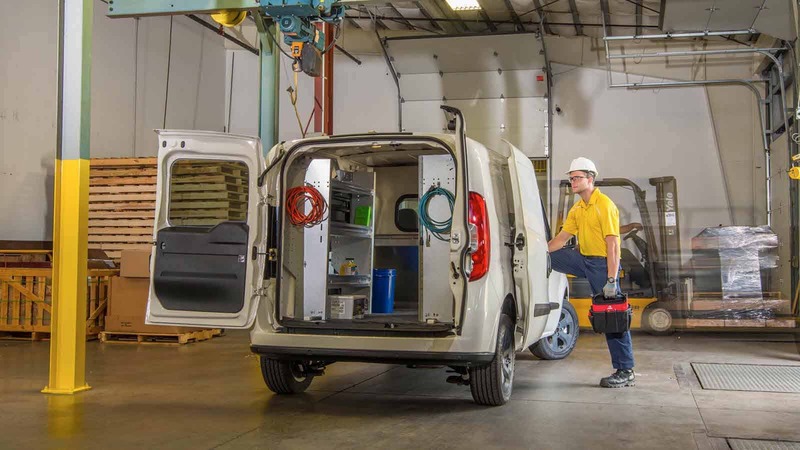 Getting the most from your service vehicle is easy when you choose the right truck and van accessories as they help you become more organized and efficient. 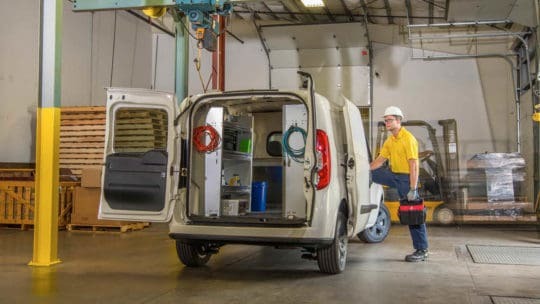 Good truck and van accessories will always pay for themselves by allowing you to maximize your cargo space and productivity. 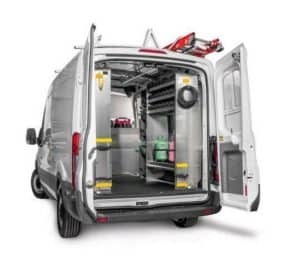 A well-upfitted service vehicle will also benefit any tradesman by protecting valuable equipment and inventory during transport. With hundreds of truck and van accessories to choose from, the best way to find the ones that will work for you is to take some time to understand what you need. All tradesmen work differently and every trade has their own basic list of tools and equipment. Make a list of all the tools and equipment that you think you’ll use on a daily basis. Consider ladders, tools, large and small parts, and inventory. With a list in hand, you’ll be able to visualize your needs and determine the best truck and van accessories that can keep you not only organized, but safe. 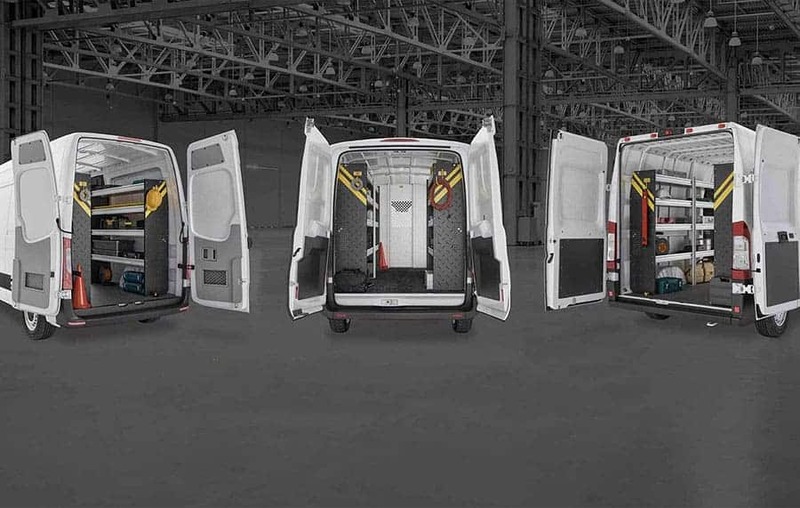 Take a look at some of the most popular truck and van accessories now available for the mobile tradesman. Tradesmen spend many hours a day in their service vehicles. For many it’s not just a truck, it’s their mobile office as well. 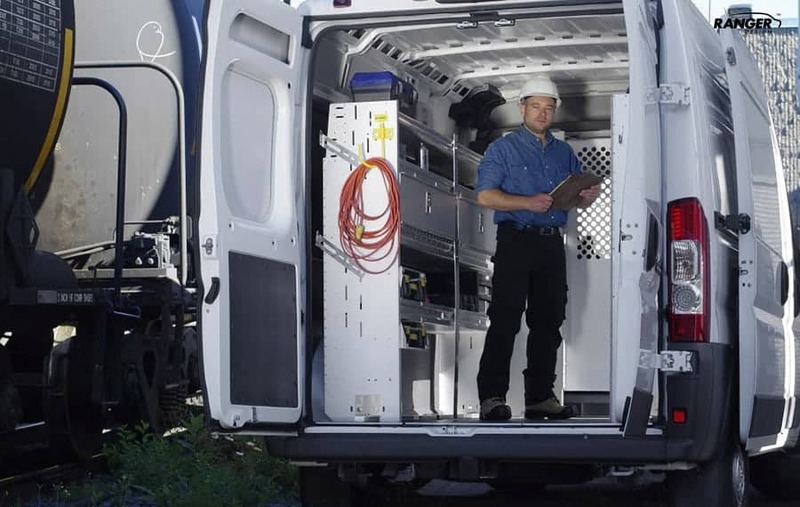 You can make it easier to work and get organized by selecting truck and van accessories like cab organizers, paper holders or additional lighting can make your mobile office a more comfortable space by having everything you need within easy reach. Refrigerant bottle racks and lockers for HVAC technicians. Transport tube kits are very popular for Plumbers and Electricians because it allows them to transport long conduit tubing or piping safely and keeps it well protected from the elements. Wire reel holders help Electricians, Telecom, and Alarm technicians transport and organize the different wire and cables they need. Not all truck and van accessories are designed just for organization, many important products work hard to keep you or your staff safe. 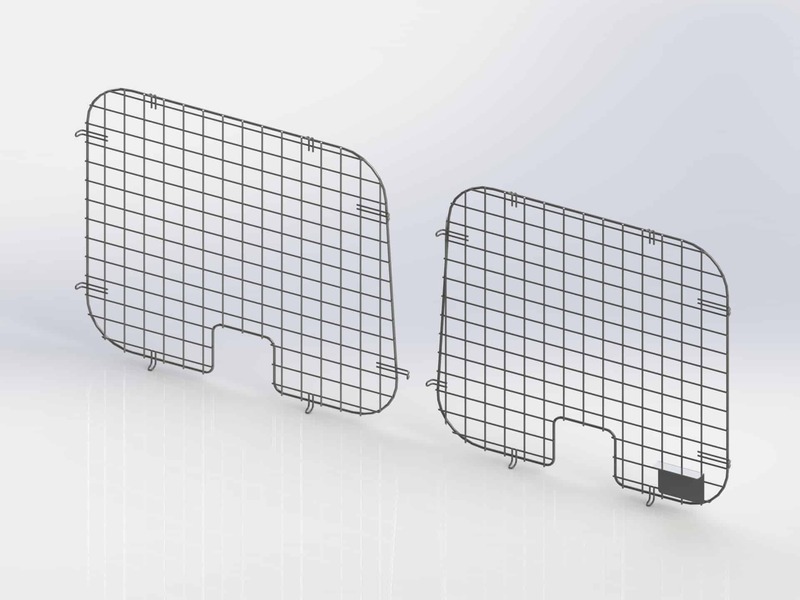 Bulkhead Partitions keep the cab occupants safe in the event of an accident it prevents any loose items in the cargo area from entering the cab area. 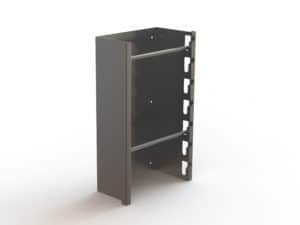 Lockable Doors on your shelving and lockers provides two advantages: 1) they can better protect your inventory and tools by keeping them secure when the road gets rough and 2) they can deter thieves and protect valuable tools and inventory when you’re on a job and your vehicle is unattended. Roof vents help protect you from any gasses/vapors or smells that may build up in the cargo area of your vehicle. It will help reduce heat build-up and allow moisture to escape should any materials or tools be stored or transported wet. 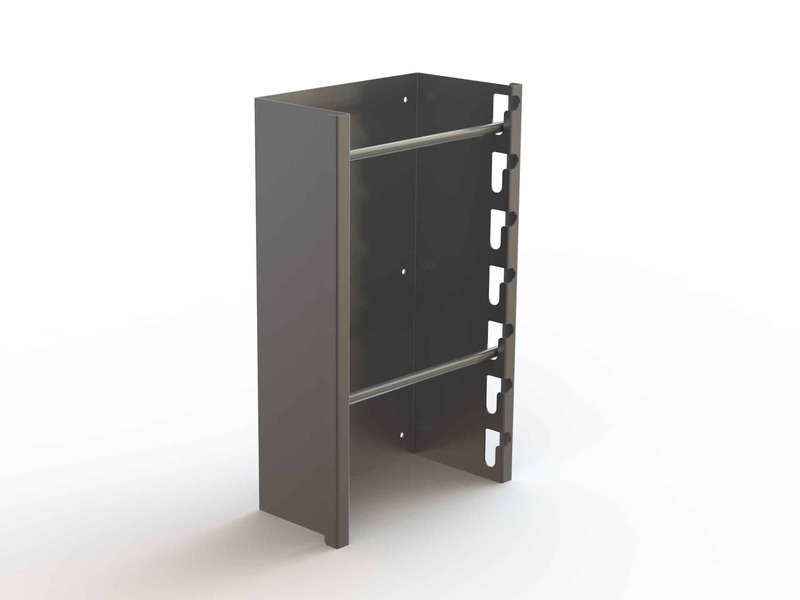 The best Shelving Systems are designed to be contoured. By using curved end panels and different depths of shelves, these units hug the wall of the truck or van and maximize the floor space while increasing the storage capability. 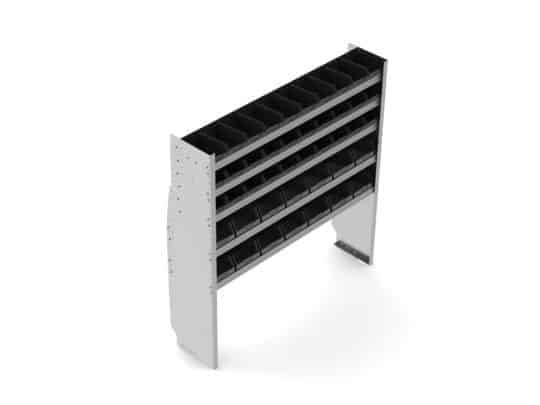 Built of steel or aluminum contoured shelving systems come with dividers that allow a custom fit for all your tools and equipment. Storage bins are available in a number of sizes and configurations. 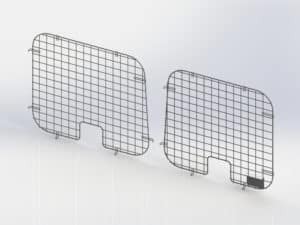 These are ideal for holding items and inventory so you can find what you need quickly and easily. 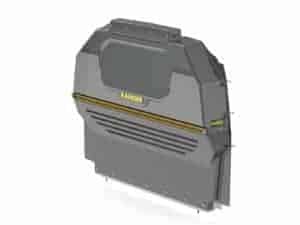 If you have many small items that you need to carry with you on the job, then PartsKeeper bins are an ideal way to keep small items organized and secure. 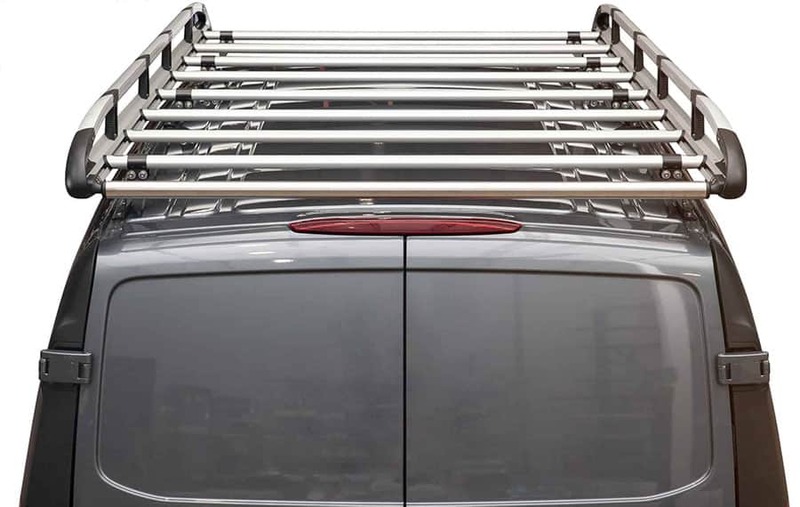 These are just some of the most popular truck and van accessories that are available. By considering the demands of your trade and your particular needs, you can have the confidence to invest in products that will perform the best for you and pay for themselves with the time and money they can save. Ranger Design has a full line of truck and van accessories for any vehicle and any trade. 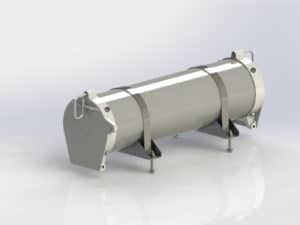 For more information contact a product specialist today at (800) 565-5321, contact us or request a quote. 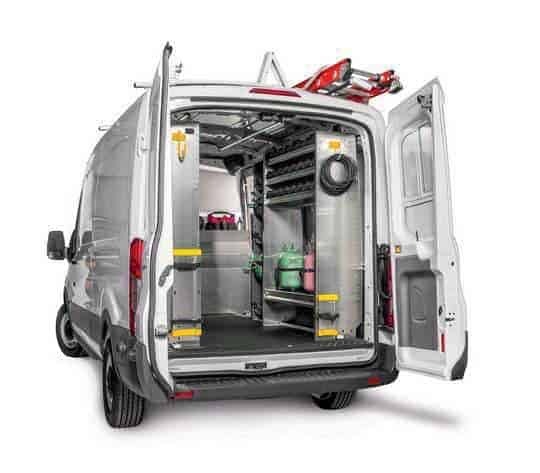 There are a lot of different options to fit your van with accessories for the way that will work best for you. I love all of the storage and organizational pieces. Thanks for sharing!